Sometimes, photos taken by accident (candid) actually even look better than the photo with a cue because it displays a natural atmosphere. But the problem, a good candid photo obtained from the unexpected, where the opportunity to get good results cannot be ascertained. Google itself offers a new way to capture unexpected moments by launching Clips. 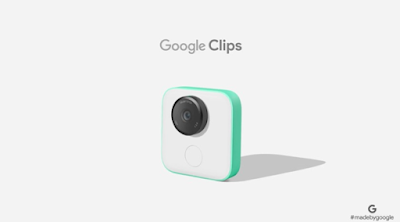 Google Clips is a mini camera like cam action, but the camera is equipped with AI (artificial intelligence), so this camera can take pictures at the right time. The learning machine applied to this camera will recognise your daily life. According to Google, "We have put the ability of the machine to learn directly to Clips so that when you turn it on, the camera looks ready to capture the best moments. The clip seeks a stable point, then captures a clear picture of the person you know. You can help the camera learn to recognize the moments that are important to you so when grandma comes in town, you will catch the grandmother at the entrance." For those of you who are less confident with the ability of artificial intelligence on Google Clips, no need to worry because this camera also features a regular shutter camera. Even this camera is also equipped with mobile applications, where you can capture images remotely. That way, you can set when the right moment to capture the photo. 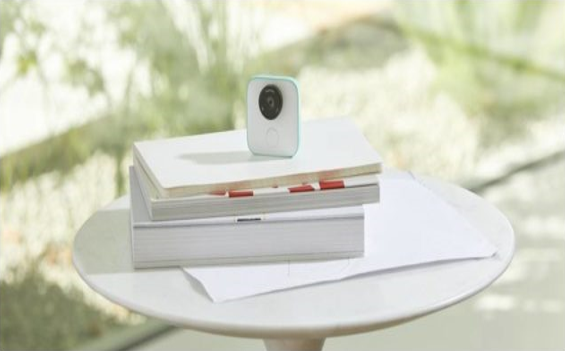 For the first version of Google Clips it is said to be suitable for use by parents or pet owners, and for next-generation cameras will be aimed at different uses. Google Clips cameras work well on both Android and iOS mobile platforms. For availability, this camera will soon be launched in the US and will be priced at $250.